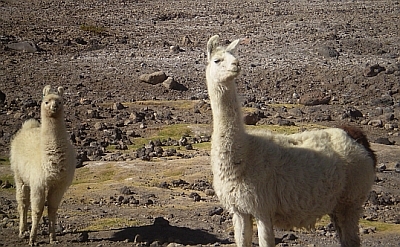 Lascar is the most active volcano in the central Andes. 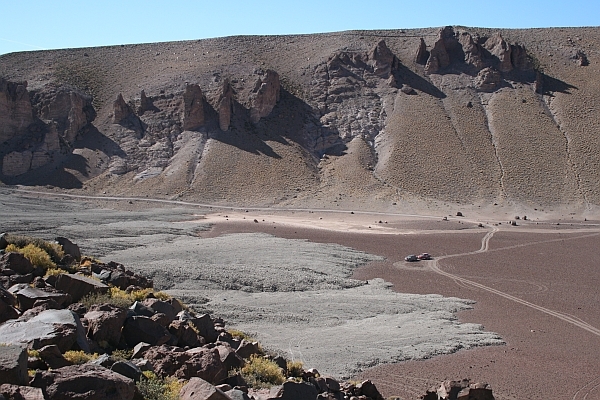 It is an andesitic to dacitic stratovolcano with six overlapping craters, trending roughly northeast, with the active, fuming crater located near the center. The largest historical eruption of Lascar took place in 1993, producing pyroclastic flows to 8.5 km NW of the summit. 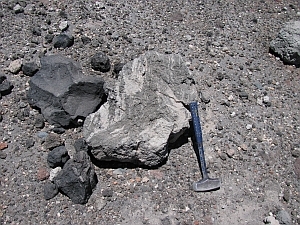 Grey pumice deposits from the 1993 eruption are visible in the photo above and below. Light, dark, and banded pumice are mixed in this flow. And we made a few friends!